Fed boss Ben Bernanke is the most dangerous human on earth, far more dangerous than Hosni Mubarak, Egypt’s 30-year dictator, ever was. Bernanke rules a monetary dictatorship that will trigger the coming third meltdown of the 21st century. In the past year, the OMC virtual currency has gained both popularity and usefulness, with both the total currency in circulation and the number of grids it’s available for use on growing. The OMC, or Open Metaverse Currency, is a virtual currency from Austria-based VirWoX that can be used to buy and sell virtual goods on OpenSim grids. The OMC can be traded in for real money like USD, GBP, CHF and EUR, and can also be traded in for the Second Life virtual currency, Linden dollars. Because OMC is hypergrid-enabled, this means that instead of each grid having its own currency, just one universal currency can be used on multi-grid shopping trips — and merchants who accept OMC can sell to visitors from many different grids. The OMC isn’t transferred from grid to grid, instead, it’s kept in an online VirWoX account, requiring each transaction made inside a virtual world to be verified on their website. The status bar on the top of the viewers will show your current OMC currency balance if you are on an OMC enabled grid. Virtual currency is used when buying virtual objects or obtaining services in a virtual world, and is popular for roleplaying games that take place in OpenSim. Virtual currency is also used by casinos in virtual worlds, since use of virtual currency instead of real currency can help circumvent laws against gambling. Some grids have their own in-world currency, like InWorldz or 3rd Rock, but these are closed grids and the money can not be used on any other grids. One of the negative aspects of the OMC is that the security of the virtual money is dependent on the third party system. Grids can’t guarantee the safety as well as they could with their own currency system. Another danger is the merchants themselves. Because open grids, like OSGrid, allow so many people to connect regions, this means that there is a greater chance of illegitimate vendors. The amount of OMC in circulation dramatically rose over the course of 2010, going from 100,000 OMC to nearly half a million. The exchange rate for OMC is 270 OMC to US$1, so this amounts to just over $1,600 of virtual currency in circulation. This is a tiny amount, not only because the currency is typically used for micro-transactions — often a few cents or less — but also because merchants and shoppers are still wary of doing business on the hypergrid, and many OpenSim users are not even aware that the possibility exists. The number of grids that OMC is available started with four and peaked at 23, with 19 grids enabled at the end of 2010. Today, there are 21 grids that accept the OMC currency, according to data from VirWoX. 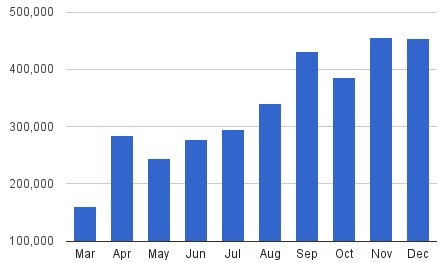 The number of users registered to use the OMC went from less than 100 to over 500 by the end of 2010. As of mid-February, VirWoX reports more than 600 registered users of the OMC currency. The amount of OMC being used in transactions has dropped at the end of the year, after a spike in April. Because of the many updates OpenSim had in 2010, grids had to upgrade their software on a regular basis — however, not all grids updated at the same pace. Since it’s not possible to teleport between grids running different versions of OpenSim, this caused transportation problems on the hypergrid, limiting shopping trips. OMC is particularly strong in Europe, with the German grids — which were among the first to update to newest version of OpenSim and the latest hypergrid teleportation protocol. As a result, their merchants were cut off from OpenSim’s biggest user population, located on the non-profit OSGrid, which updated later. Finally, the education and business-focused ReactionGrid and affiliated private grids still haven’t upgraded. There are two other multi-grid currencies, the G$ and the V$. However, even thought the V$ is convertible to Linden Dollars, it is not backed by a real company, but an individual, and is widely considered not to be secure enough for serious use. The G$ is backed by a real company, CyberCoinBank, but is not convertible unless a third party wishes to purchase it. Of all the virtual currency providers operating in OpenSim, only VirWoX publishes statistics, and CyberCoinBank did not respond to repeated requests for recent data. As of the end of January, the number of OpenSim users was still low. Even though there were around 160,000 users, this is still only around a tenth of the users of Second Life. However, OpenSim is being promoted. John Lester, a former virtual worlds evangelist at Linden Labs is now promoting the hypergrid. With popularity of OpenSim increasing, it is likely that in 2011 the use of OMC will rise, given past and current trends. Anastasia Trombly is a freelance technology and medical writer based in Massachusetts. Reprinted with permission. On December 6, 2010, George Selgin of the University of Georgia spoke with EconTalk host Russ Roberts about whether the creation of the Federal Reserve in 1913 has been a boon or a bust for the U.S. economy. The interview can be downloaded here. Drawing on a recent paper with William Lastrapes and Lawrence White recently released by the Cato Institute, "Has the Fed Been a Failure? ", Selgin argues that the Fed has done poorly at two missions often deemed to justify a Central Bank: lender of last resort and smoother of the business cycle. Selgin makes the case that avoiding bank runs and bank panics does not require a central bank and that contrary to received wisdom, it is hard to argue that the Fed has smoothed the business cycle. Additional topics discussed include whether the Fed has the information to do its jobs well, the role of the Fed in moral hazard, and the potential for the gold standard to outperform the Fed. Professor George Selgin of the University of Georgia explodes the myths of economic stability through central banking, the history of money, and war and death in the 20th century. Data havens and strong cryptography have long been the bedrock of anonymous and untraceable digital currency transactions and their associated services. 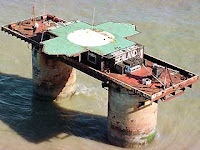 James Grimmelmann has published an excellent account of the entire Sealand and HavenCo saga entitled "Sealand, HavenCo, and the Rule of Law". "Sealand and HavenCo Part II: The Rise and Fall of HavenCo" (February 15, 2011). "Sealand The Mystery Solved - Part One"
"Sealand The Mystery Solved - Part Two"
"Sealand The Mystery Solved - Part Three"
"Sealand The Mystery Solved - Part Four"
"Sealand on Bravo Channel 2001"
"Sealand on the UK Evening News Sept 2002"
"Life in Sealand after the Fire"
"Sealand for Sale, an Interview with Prince Michael"
Bimetallism is often thought of as an unworkable system of monetary arrangement. In the last form that bimetallism existed prior to the ‘de-monetisation’ of silver across the globe in the 19th century, this is certainly true. But in its original form, with floating ratios, it is a perfectly valid monetary system. The problem, as ever, comes with the attempt to fix prices. Bimetallism – on the strict proviso that the ratio of gold to silver is not fixed – is a perfectly viable system. Since time immemorial, money was defined in terms of silver, not gold. The Pound Sterling was originally defined as 5,400 Troy grains of silver; 240 Pfennigs originally equalled one Troy pound of silver and the Indian Rupee was equal to 175 Troy grains to name but a few. Gold coinage, in so far that it existed, was very much limited in circulation. An often overlooked fact is that gold coinage was never originally defined in terms of silver. Trying to enforce a fixed relationship between gold and silver is like trying to enforce a fixed relationship between the exchange of chalk and cheese. The United Kingdom’s Pound Sterling will be used as an example to show the blunderfilled journey from a silver based monetary unit to a gold one. Dating back to Saxon times, the Pound Sterling was defined as 5,400 Troy grains of silver divided into 240 pennies or 20 shillings. Henry VIII was the first gross monetary debaser in British history – mixing copper with silver in a ratio of 2:1 thus causing one Troy pound of silver to produce 60 shillings instead of 20. He earned the sobriquet ‘old copper nose’ when his debased coins, after minimal use, produced a coppery shine on the king’s nose. There had been occasional dalliances with gold coinage in the early medieval period, but each attempt involved fixing the gold/silver ratio such that the gold coins were undervalued leading to them being melted for silver. The first serious attempt at a ‘floating’ gold coin was the guinea issued in 1663. 44½ guineas were defined to equal one Troy pound of gold. It was generally accepted – although fluctuations occurred – at 21 shillings. In 1697, the first blunder happened. A proclamation was made – for reason unknown – that the Exchequer accept guineas at 22 shillings (fixed.) This in effect overvalued gold compared to the rest of Europe: the gold/silver ratio in England had now advanced to 16.01, whereas in the rest of Europe is barely rose above 15. It had the effect of draining silver coin from England and replacing it with European gold: a ‘riskfree’ arbitrage could be made with comparative ease. It must be remembered that the mint was open to both gold and silver in England then. Sir Isaac Newton, master of the royal mint, was consulted about the problem of the vanishing silver specie. Newton, as one might expect, saw the nature of the problem easily and recommended that the value of the guinea be brought down to be more in line with European rates of gold/silver exchange. The recommendation was taken up and the guinea brought down to 21 shillings by royal proclamation – but this was insufficient according to Newton’s prescription. Even though the implied gold/silver ratio had been brought down from 16.01 to 15.28, it still remained above levels prevailing in continental Europe. In 1715, the Netherland’s West Friesland had an implied gold/silver ratio of 15, as did France. Silver specie continued to flow out of England. Newton, as the records indicate, did not sound out the idea of a floating market rate between the guinea and pound Sterling. As a general frame of thought, ‘change’ is not something the British are generally keen on. The state of the kingdom’s silver coin had become so dwindled and worn that it was necessary to declare in 1774 that silver should be legal tender for sums over £25 by weight and not by tale (i.e. number of coins.) Silver – completely by blunder – had been replaced by gold, whilst silver remained the legal basis for Pound Sterling. The two states were incongruous. The official closing of the mint to silver in the United Kingdom [as it was by then] was achieved in 1816, when gold became the legal basis for Pound Sterling. This was merely a formality as the gold standard had been implicit for decades as silver left the country. It seems like a series of innocuous events led to the adoption of a gold standard in the United Kingdom. With malice not a forethought, the country ended up on a gold standard. All this due to something as simple as fixing a ratio. Other nations followed suit. The United Kingdom, by 1816, was a power with no equal and the rest of the world could not watch idly. The United Kingdom was the first country of size to ‘de-monetize’ silver. By the end of the 19th century – virtually all of Europe had switched to gold as the legal basis for currency (implicit or not) and silver – by the whim of governments – had become a mere token issue. This transition had horrific consequences across the world – and it was not as pleasant a sojourn as the British experienced. Silver remained the basis for the currencies of India, China and many more. Those that were last to convert their standard from silver to gold suffered the most. In a very short space of time, these countries found that imports [from gold based countries] were getting far more costly, and exports were being paid for in voluminous amounts of silver. In some cases, this caused a rapid escalation in the general price level. This occurred in China prior to the communist revolution. It had the effect of wiping out the agricultural classes and causing mass destitution paving the way for Mao to take command with his ignorant ideologies. India, under the imperial yoke of Great Britain, did not adopt a gold standard until 1893 – after the majority of the “civilized” world. A similar fate awaited them as China. Attempting to fix a gold coin’s price in silver terms, a seemingly innocent desire, was the progenitor of communism. Silver was the legal basis for money across the entire globe and that is the way it should have remained. The ancient currencies (e.g. Rupee and Pound) were defined in terms of silver alone. That was perfectly sufficient. The introduction of gold coin should have been under a different nomenclature so as to imply no fixed relationship between gold and silver. This was initially done – the gold guinea not being defined initially in terms of pounds Sterling. The two rates of exchange should be left to the market. With the strict proviso that the mints across all countries are open to both gold and silver in any size tender, any geographical differences in the (market traded) gold/silver ratio will tend to be arbitraged away. The market process would naturally achieve what Newton initially wanted: minimal difference between different countries’ gold/silver ratio rates. A huge discovery of silver reserves in the United States – as occurred in the 19th century – would have the effect of elevating the gold/silver exchange ratio locally. Perversely, the nominal amount of gold within US borders is likely to increase with this glut of silver. A sharp move higher in the US gold/silver ratio would induce surrounding countries to send gold to the United States in exchange for the cheaper silver to be exported. The effect would be to normalise the gold/silver ratio in the United States in relation to the ratio in surrounding countries. The problem was not with bimetallism but with the mechanics of its establishment. Bimetallism is paradise so long as exchanges between the metal are free, and mints are open to unlimited tender in both metals. It is up to the people to decide which metal they prefer and there should be no hindrance from government in this choice. From a legal perspective, there was nothing lacking in having silver as the basis for money. What was lacking was the prevailing mentality that gold could and should somehow be fixed in relationship to silver. No other pairs of distinct entities have this kind of relationship forced on them. Gold and silver are no different. Banking and Currency, Ernest Sikes, 1905. The Early history of Gold in India, Rajni Nanda, 1992. As Facebook starts to host all sorts of commerce -- and is now mandating the use of its currency -- perhaps it's time to stop thinking of it as a company and start thinking of it as a country. "The strength of a nation's currency is based on the strength of a nation's economy." Richard Nixon, circa 1971, announcing that foreign governments could no longer convert U.S. dollars into gold. 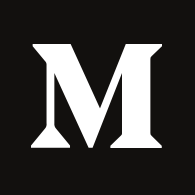 "If you're a very large company, and supporting you is going to cost us tens of millions of dollars, then we want to at least have an understanding of how you're going to use what we're doing, and that you're not going to just import the data but also contribute back to the ecosystem and make peoples' Facebook experience better." —Mark Zuckerberg, circa 2010, explaining its agreements with social game companies that bring in 30% revenue cuts to Facebook. 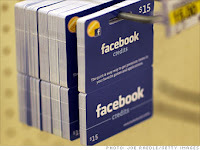 Earlier this week, Facebook announced that by July 1 developers that have apps on the site must make their users pay for virtual goods using Facebook's official currency, Facebook Credits. 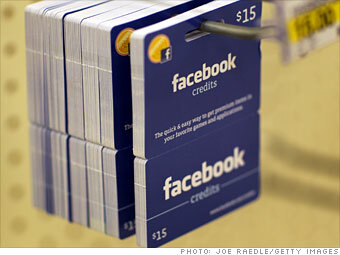 Along with Credits come fees: 30% of every credit spent goes to Facebook. Smaller developers, of course, aren't pleased. They would rather avoid paying Facebook altogether. Facebook, meanwhile, would rather avoid being a site that confuses its users with dozens of currencies. At first glance, the move suggests Facebook has become a monetary autocracy, forcing the companies critical to its success to use its currency, and to pay a fee for doing so. But on second thought, isn't that more or less how taxes work? As Facebook grows and starts to host all sorts of commerce, perhaps it's time to stop thinking of the social network as a company. Maybe it's best to think of it as a country. Imagine, for a moment, that you're the central banker of a country with nearly 600 million residents. Your economy is growing quickly, and the bigger it gets, the more foreign investors are knocking at your door, trying to hawk their wares and build within your borders. Nobody knows how much your economy is actually worth -- some place the GDP at $50 billion, making it the 73rd largest economy in the world, though everyone agrees that your country will be a global force for years to come. But there's one sector of your economy that won't fall in line. By the end of the year, it'll be worth over a billion dollars and it has proved to be sustainable even during an economic downturn. But a lot of the companies that make up the industry don't want to use the national currency. They'd rather use their own currencies and avoid a hefty 30% tax on all transactions. But, as a wise central banker, you know that for a country to grow its economy, it needs a singular currency so the proletariat doesn't get confused. You've been able to convince the largest companies to use the national currency, but rogue stragglers remain. What do you do? Tell them they can either use the currency or get the hell out. The practical offshoot of the Austrian theory of money is that the production of money should best be left to the free market. Government interventionism does not improve monetary exchanges; it merely enriches a select few at the expense of all other money users. And on the aesthetic side, the disaster is of course complete: rather than deal with beautiful silver and gold coins, the citizens are compelled by law to hold unbecoming paper notes. Present-day Austrian economists are not the first to point out that interventionism makes money unsightly and unreliable. Rather, they uphold a tradition of many centuries that includes illustrious economists such as Murray Rothbard, Ludwig von Mises, Carl Menger, Frédéric Bastiat, William Gouge, John Wheatley, Etienne de Condillac, and Thomas de Azpilcueta. In fact, this tradition can be traced back right to the very founding father of monetary economics, the great Nicholas Oresme. Oresme was born around 1320 near Caen in France. After a distinguished career as a scholar and confessor of king Charles V, he became Bishop in 1377 and died in Lisieux in 1382. 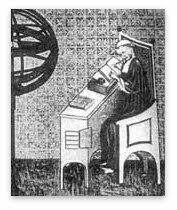 Oresme was a brilliant mathematician, physicist, and economist. At some point before 1355, he wrote a treatise on the ethics and economics of money production. The book had the title Treatise on the Origin, Nature, Law, and Alterations of Monies, and it established his fame as an economist for all times. The most adequate modern rendering of the title would be "Treatise on Inflation." Indeed, Oresme pioneered the political economy of inflation; he set standards that would not be surpassed for many centuries, and which in certain respects have not been surpassed at all. A closer look at the book reveals that monetary thinking has been sound at its inception and that present-day Austrians are the heirs of monetary orthodoxy in the true meaning of the word. 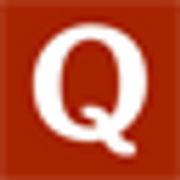 The very first question of monetary theory is of course: what is money? Oresme answers that money is a commodity; more precisely, it is 1) a quantity of precious metal with 2) a stamp that certifies the metallic fine content. The certification can be provided by a private person or private organization, but it can of course also be provided by some government agency. The state theory of money had been championed in the writings of Plato and Aristotle. It was in fact embodied in the very language in which these philosophers wrote. The Greek word for money was "noumisma"—from "nomos," the Greek word for "law." Notice that he did not say that the government wisely ordained the creation of coins, but that "the sages"—natural elites in a free society—did this. So where does government come into play? Oresme makes the case for some very minimal form of government involvement in money. His point is that the prince enjoys the citizens’ trust; after all, they follow his judgement in matters of war and peace and therefore are likely to trust his stamp on their coins. Yet Oresme hastens to point out that the princes do not own any coin just because it bears their stamp, and that the princely prerogative to stamp money is really just a matter of expediency. It is a prerogative derived from the fact that money "is essentially established and devised for the good of the community." Present-day Austrian economists can, by and large, agree with these considerations. They would merely add that competition is the best-known way to identify trustworthy certifiers. And they would also point out that, today, the Oresmian case for the minimal state in money does not hold because it does not apply to any of our political leaders. Public trust in politicians is at an all-time low, and this is not only (but also) because none of them personally leads us into battle anymore. As we shall see below, there are good reasons to assume that Oresme would concur with this assessment. Were he to live in our day, he would probably qualify our monetary system as tyrannical and urge its reform. Even though Oresme did not quite see the virtues of competitive money production, he certainly was no starry-eyed constructivist. He did not advocate any one-size-fits-all monetary scheme. He recognized that the precious metals were superior monies because of their physical characteristics, and thus he focused his considerations on metallic monies. But he was far from believing that an optimal monetary system could or should be devised once and for all. In particular, it was for him the most normal thing that gold coins, silver coins, copper coins, and various tokens be in parallel use, and that the exchange rates between these media of exchange should be determined on the market. The most important practical question in the theory of money is whether there is any case to be made for the political manipulation of the money supply. Are the supplies of gold and silver coins that are spontaneously produced on the free market sufficient? Or should we expect some sort of market failure in the production of money, so that government should step in to improve on market outcomes? The Austrian position is well known: in money as in any other field production, the competitive cooperation of market participants achieves incomparably better results than the government. Government meddling with money boils down to increasing the money supply beyond the level it would have reached on the free market; that is, it boils down to inflation. This policy is truly anti-social: it does not serve the community of money users as a whole; rather it benefits some members of this community at the expense of all others, thus pitting them against one another. Inflation invariably entails exploitation and social strife. But this is not all. Inflation is not merely a zero-sum exploitation scheme in which some gain what others lose. It actually generates net losses because it deteriorates the very vehicle of social cooperation. Inflation makes money worse and thus people exchange less, which means they cooperate less, which means they are not as productive as they could otherwise have been. All of these insights can be found in Oresme’s treatise. The author does not use the word inflation, but he most certainly deals with the phenomenon of inflation. In his day, the alteration of coins was the only known inflation technique. Governments did not yet control fractional-reserve banking and paper money, but they could change the certificates stamped on the coins, or change the contents of the coins without changing the certificate. Suppose a monetary economy predominantly uses one-ounce copper coins that feature imprints saying "this coin contains one ounce of fine copper." Now a government bent on inflation could step in and change the imprint to "this coin contains two ounces of fine copper." Thus it would increase the nominal money supply beyond the level it would have attained on the free market. Usually the point of this scheme was to allow the government to pay back its debts according to the letter in nominal terms, but in fact defrauding on its creditors in real terms. In Oresme’s day, governments had to be that crude. Today they have paper money. And if no other change were made, it would be necessary for goods to be bought or priced at proportionately higher rates. But such a change would be to no purpose, and must not be made, because it would be scandalous and a false denomination. . . . But no other impropriety would ensue, except where pensions or rents were appointed in terms of money. Thus Oresme clearly grasped the important truth that the nominal money supply is by and large unimportant. The economy can operate with virtually any nominal money supply. At a higher supply, the prices are higher; at a lower supply, they are lower. I am of the opinion that the main and final cause why the prince pretends to the power of altering the coinage is the profit or gain which he can get from it; it would otherwise be vain to make so many and so great changes. I propose therefore to give fuller proof that such gain is unjust. For every change of money, except in the very rare cases which I have mentioned, involves forgery and deceit, and cannot be the right of the prince, as has previously been shown. Therefore, from the moment when the prince unjustly usurps this essentially unjust privilege, it is impossible that he can justly take profit from it. Besides, the amount of the prince’s profit is necessarily that of the community’s loss. But whatever loss the prince inflicts on the community is injustice and the act of a tyrant and not of a king, as Aristotle says. And if he should tell the tyrants’ usual lie, that he applies that profit to the public advantage, he must not be believed, because he might as well take my coat and say he needed it for the public service. And Saint Paul says that we are not to do evil that good may come. Nothing should therefore be extorted on the pretence that it will be used for good purposes afterwards. Again, if the prince has the right to make a simple alteration in the coinage and draw some profit from it, he must also have the right to make a greater alteration and draw more profit, and to do this more than once and make still more. . . . And it is probably that he or his successors would go on doing this either of their own motion or by the advice of their council as soon as this was permitted, because human nature is inclined and prone to heap up riches when it can do so with ease. And so the prince would be at length able to draw to himself almost all the money or riches of his subjects and reduce them to slavery. And this would be tyrannical, indeed true and absolute tyranny, as it is represented by philosophers and in ancient history. It is not too difficult to guess that Bishop Oresme would dismiss our present-day monetary system as the most monstrous (or rather: diabolical) scheme ever concocted to impoverish the "subjects and reduce them to slavery." And most certainly this would not be altogether wrong. It is of course a very different question whether his voice would be pondered by our contemporary ruling classes as much as it was pondered by Charles V and others in the dark ages of the 14th century. Unfortunately it is not farfetched to assume that, if Oresme were to write today, the usual experts on government payrolls would dismiss him as someone from the lunatic fringe—thus testifying to the improved relationships between intellectuals and rulers in our enlightened age. Notice that Oresme correctly points out that "bad money drives out good money" only under the impact of government price fixing: the citizens are obliged by law to accept the new bad coins on equal footing with the old good coins. Without such legal tender laws, the money market would behave just like any other market. In a free economy, the better products always drive out inferior competitors. Again, because of these alterations, good merchandise or natural riches cease to be brought into a kingdom in which money is so changed, since merchants, other things being equal, prefer to pass over to those places in which they receive sound and good money. Furthermore, in such a kingdom internal trade is disturbed and hindered in many ways by such changes, and while they last, money rents, yearly pensions, rates of hire, cesses and the like, cannot be well and justly taxed or valued, as is well known. Neither can money safely be lent or credit given. Indeed many refuse to give that charitable help on account of such alterations. And yet a sufficiency of metal for coin, merchants and all these other things mentioned are either necessary or highly useful to humanity, and their opposites are prejudicial and hurtful to the whole civil community. He even anticipated the core idea of the modern Austrian theory of the business cycle.
. . . the prince could thus draw to himself almost all the money of the community and unduly impoverish his subjects. And as some chronic sicknesses are more dangerous than others because they are less perceptible, so such an exaction is the more dangerous the less obvious it is, because its oppression is less quickly felt by the people than it would be in any other form of contribution. And yet no tallage can be heavier, more general or more severe. To sum up, Oresme realized that increases of the nominal money supply would enrich the princes at the expense of the community. But except for very rare and exceptional emergency situations, this was not the price to be paid for some benefit that could not otherwise be obtained. The usurer has lent his money to one who takes it of his own free will, and can then enjoy the use of it and relieve his own necessity with it, and what he repays in excess of the principal is determined by free contract between the parties. But a prince, by unnecessary change in the coinage, plainly takes the money of his subjects against their will, because he forbids the older money to pass current, though it is better, and anyone would prefer it to the bad; and then unnecessarily and without any possible advantage to his subjects, he will give them back worse money. . . . In so far then as he receives more money than he gives, against and beyond the natural use of money, such gain is equivalent to usury; but is worse than usury because it is less voluntary and more against the will of his subjects, incapable of profiting them, and utterly unnecessary. And since the usurer’s interest is not so excessive, or so generally injurious to the many, as this impost, levied tyrannically and fraudulently, against the interest and against the will of the whole community, I doubt whether it should not rather be termed robbery with violence or fraudulent extortion.
. . . does not avoid scandal, but begets it . . . and it has many awkward consequences, some of which have already been mentioned, while others will appear later, nor is there any necessity or convenience in doing it, nor can it advantage the commonwealth. If the Italians or Romans did in the end make such alterations, as appears from bad ancient money sometimes to be found in the country, this was probably the reason why their noble empire came to nothing. It appears therefore that these changes are so bad that they are essentially impermissible. Thus Oresme arrived at essentially the same conclusion about the critical role that inflation had played in the decline of ancient civilization as Ludwig von Mises in his "Observations on the Causes of the Decline of Ancient Civilization." And it is likely that our own civilization, which cherishes learning by doing more than learning, will take the same course. Oresme’s devastating analysis of inflation leads to a straightforward policy question: What can be done to curb inflation? How can it be prevented? Oresme’s answer is foreshadowed in the title of his book: the alteration of coinage. Because such alterations were unnecessary and harmful, he argued that they should not be allowed at all (the introduction of a new type of coins was in his eyes not an alteration, if it did not go in hand with outlawing the old coin). More precisely, Oresme charged that the government should never alter money. Neither the government nor any other single group or individual could rightfully change the coinage. To be licit, such alterations needed the consent of the entire community of money users because money was the property of the commonwealth. Yet Oresme did not champion unbridled democracy. 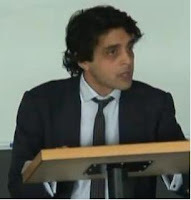 A mere agreement of the entire community would not automatically provide legitimacy to the policy (for example, he argued that money should never be debased for regular revenue purposes). Only if the alteration provided the only means to deal with a great emergency, such as a sudden attack by an overwhelming enemy, could it be licit. In any case, the government did not have the right to alter the coins at all, unless it acted as a mere agent of the citizens. The entire community, not just the government, would have to give its consent. 1) Inflation is predominantly a creature of governments. 2) It harms commerce and the economy, and it entails the decline of civilization. 4) It creates illegitimate winners and losers. Typically it benefits the government and its allies at the expense of the citizenry. 5) It therefore paves the way to tyranny. 6) The way to get rid of it is to bar government from meddling with money at all. It is not surprising that Oresme’s work has met with hostility on the part of those who paved the way to our present inflationary regime. They derided it as a manifesto of "metallism" whereas in fact it was a monument to common sense. They put it in "historical context" thus insinuating that its message was dated. But the Treatise on the Alteration of Monies is a milestone in the science of money, a science of universal laws. Nineteenth century champions of sound money such as Léon Wolowski and Wilhelm Roscher were entirely on the mark when they celebrated it for its lasting value. And all friends of liberty should celebrate it today. The readers of Ludwig von Mises’s Theory of Money and Credit will be familiar with the name of the most important twentieth century champion of the state theory of money, Georg Friedrich Knapp. He went on: "And that the stamp on coins was instituted as a guarantee of fineness and weight, is clearly proved by the ancient names of coins distinguishable by their stamp or design, such as pound, shilling, penny, halfpenny, as, sextula, and the like, which are names of weights applied to coins . . ."
 Gresham’s Law received its name from a nineteenth century British economist, who falsely ascribed its discovery to Thomas Gresham, a sixteenth century financial agent of the English Crown in the city of Antwerp. Oresme was not the first discoverer either. The oldest known version can be found in Aristophanes’s poem "The Frogs." Mises, Human Action, pp. 761–63. Mises, Theory of Money and Credit, pp.466–69. Jörg Guido Hülsmann is senior fellow of the Ludwig von Mises Institute. Reprinted with permission.